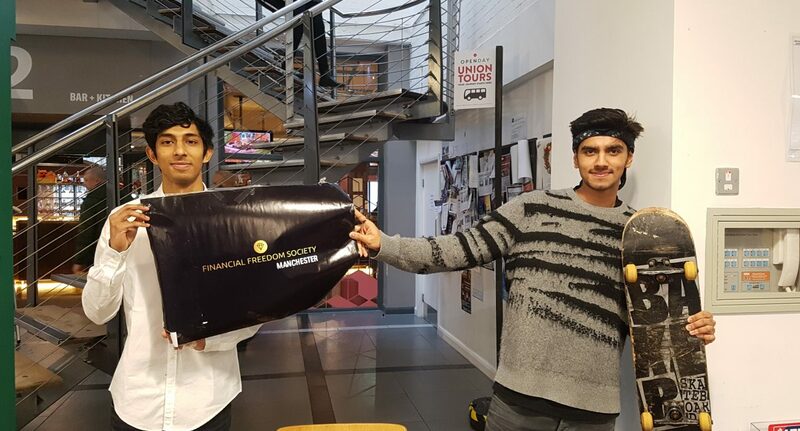 The Financial Freedom Society (FFS) are starting small, but have big ambitions. Shabbir Khan and Irshad Rafi have started the society, which aims to “promote an entrepreneurial mindset within people. It’s about making sure people aren’t tied down to the money they earn. It empowers people in that sense”, says Rafi. Their first event of the year was a fundraiser in the Students’ Union (SU) which aimed to raise money for the Big Change society, in order to help homeless people in Manchester. They also were raising awareness of jiu-jitsu, which they believe can be used as a “self defence to protect vulnerable people, especially [against] sexual assaults”. So, why those two causes? Khan is personally interested in social housing, and says he’s trying to work with Mayor of Greater Manchester Andy Burnham and the SU to develop more social housing in Manchester. He also represents the University in jiu-jitsu nationally, and believes the way the sport is effective for those who aren’t as tall to defend themselves against attackers. Entrepreneurship and a social conscience might not spring to mind as a pair to start with, but FFS might just make it work. Interested? Their Facebook pages and Instagram profiles have all the information you need!